Roasted cauliflower is one of my favorite vegetables when the weather gets cold. I could seriously eat an entire bowl of this and call it a day. To change things up from my usual recipe, I added some lime juice, a little zest and finished it with cilantro. The results were wonderful! Try this as a side with pork, steak, chicken or lamb. Smash the garlic cloves with the side of the knife. Place the cauliflower florets and smashed garlic on a large rimmed baking sheet and drizzle with olive oil. Season with cumin, salt, and crushed red pepper flakes. Sprinkle evenly over cauliflower, tossing well to coat evenly. Bake in the center of the oven until browned and tender, about 25-30 minutes, turning the florets occasionally so they are evenly cooked. 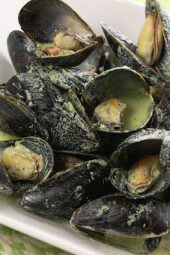 Remove from the oven, squeeze with lime juice and top with lime zest and cilantro; serve warm. I made this vegetable dish because I love cauliflower but looking for other ways to spice it up. And this recipe did just that. My husband asked for a second serving. I will be making this again mainly because it’s so easy to do. I like easy recipes. I ate a whole head of cauliflower by myself. This was delicious! I’m wondering how this might taste chilled. It’s a warm day here in New England and I thought I might mix this with some pea pods and cherry tomatoes from the garden to make a salad. Looking for a lighter side dish for a King Ranch casserole. Have to go with what nature provides! Served this with fish tacos tonight. My 13-year-old son, told me TWICE, unprompted, how much he liked this cauliflower. Definitely a hit at our house. My cauliflower is in the oven right now !! Anything with cilantro and lime is good in my book! Gina – I made this tonight and used fresh diced jalapenos instead of crushed red pepper. It was fantastic. Gone in a flash! Love your recipes as always. Keep em' coming! Yum! I love roasted veggies and this cilantro/lime combo is a nice touch! I'm so glad I found this!! I just started a cleanse, and it's been really difficult for me to eat veggies. This is perfect. Thank you, thank you, THANK YOU!!! Like it! I never thought to try the cauliflower with lime but it looks delicious! 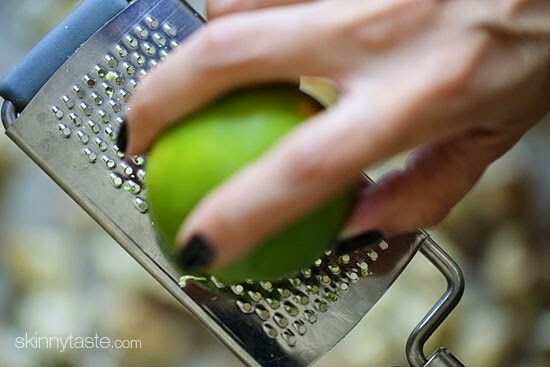 I chopped the garlic, adding extra, instead of smashing it…and, I forgot the lime zest. I will be making this again and again! I've never had roasted cauliflower…looks amazing, and by consensus…it is! Looking forward to trying this one. Thank you for sharing! 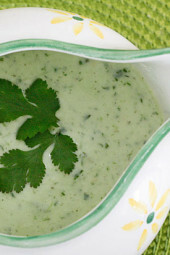 Love this….I make similar without the lime and cilantro but will definitely give this a go. I also use coconut oil instead of olive oil and I bet this would really enhance the lime and cilantro in this dish! Yum!!!! I cannot wait to try this! Ohh this looks delicious! I have only made roasted cauliflower plain before but find it a bit boring, so this looks like the perfect solution- can't wait to give it a try! I love how beautiful (and easy) this is! Pinning! Love this cauliflower with a bit of zip to it! I could eat cauliflower morning, noon and night! Wow this looks crazy good. 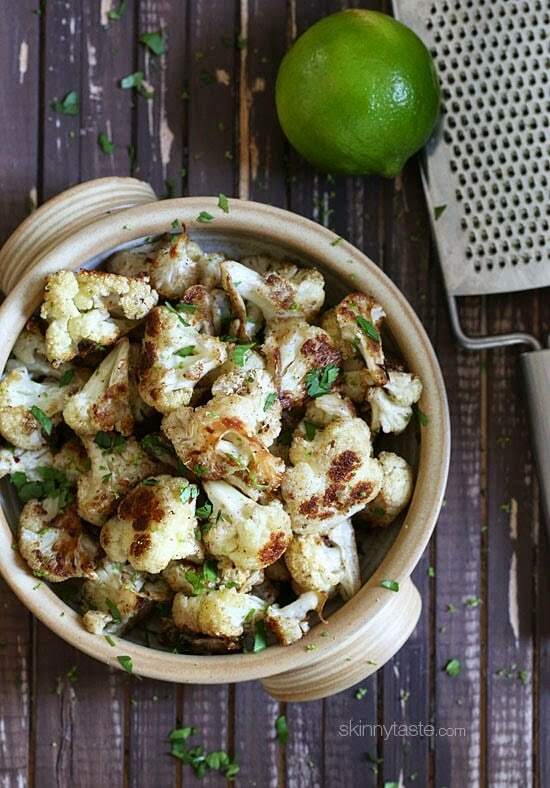 Roasted cauliflower is always amazing, but I'm psyched to try it with the cilantro lime twist! I want to make this for a pot luck but want more veggies in the dish. Can anyone tell me what other veggies would go good with these spices and flavors? I would think it could be good with almost any vegie that will maintain structure. Brussel sprouts, potato, eggplant, parsnip, yuca, might even be interesting with plantain. Explore!!! Well… I might just eat cauliflower now, only if it's made with cilantro & lime!! I am so excited to try this! We love roasted cauliflower, but I think this would go well with Mexican dishes! Although I love cauliflower, I never cook with it because I never know what to do with it. This is perfect! Definitely saving this recipe! This would be perfect with those yummy chicken enchiladas I made from the cookbook last night! 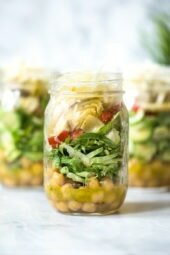 Love the recipe – for a vegetarian, like me, this one can be a nourishing meal itself or maybe next to a salad. 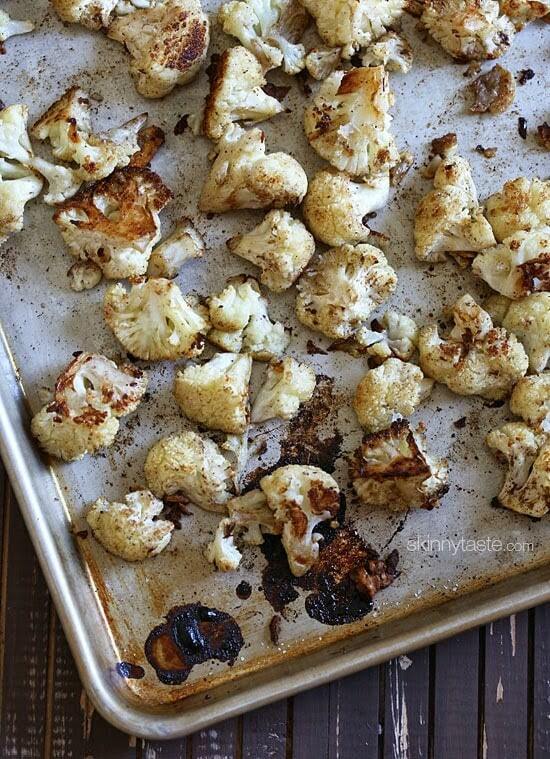 There is nothing better than roasted cauliflower! I could eat it for breakfast lunch and dinner. I LOVE roasted cauliflower 🙂 These spices look insane! Oh yum, this looks amazing! What is your regular recipie? Would like for variety.